Choosing a college for admission is very important decision as it plays a vital role in shaping your future. Selecting the right college is very confusing also, since each college promises to offer the very best of education and other facilities. Below is a list of some important points that must be looked into before taking admission. Affiliation: Education now a day is more of a business then service. Many colleges start taking admission even before getting an approval from concerned authorities. 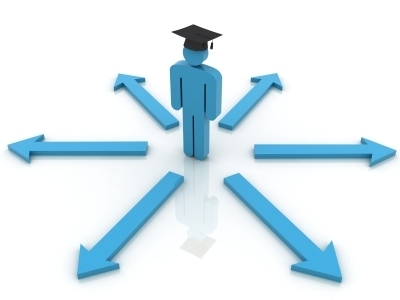 Ask for documents regarding affiliation from the college without hesitation since it is a question of your future. Check whether the college has all the necessary approval s from AICTE and other departments. If a college states that it has international tie-ups or affiliations don’t just go by their word, check it yourself by looking at the documents, searching the websites of AICTE and other authorities, emailing the concerned person etc. If the overall infrastructure of the college is excellent but the affiliation is still under process don’t go for it. a. 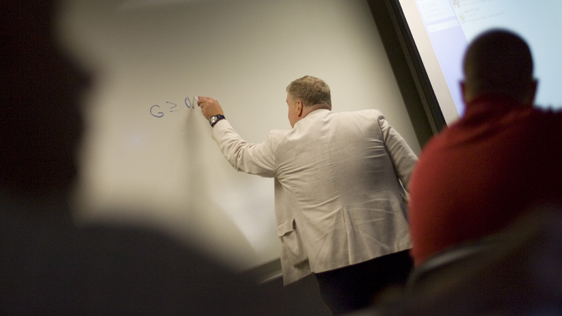 How many faculty members are there in the college (both academic and non-academic) ? b. How many of them are full time and how many are part timers? c. What is the qualification and experience of the faculties? Do they have a PHD degree or a M.Tech, B.Tech, ME or BE. d. Where did they complete their education from? Was it from any IIT, NIT or any other institute? e. What is the student – teacher ratio? Is there sufficient number of faculties to handle the students? These are some of the questions that you can ask the college or probe on your own. Keep in mind, that PHD is the highest qualification in a particular field; therefore if the majority of faculty members are PHD’s then there is no issue. An MTech qualified faculty is also not a problem. The area of concern now a days is that most college have BE’s as faculties. The issue becomes even worse when the faculty has done BE from the same college itself and is a pass out of the last batch having no experience. Faculties of small colleges are also given additional duties other than teaching, like getting admissions, student counseling, making arrangement for a college event etc. This disturbs the whole academic calendar of the college, since it diverts the faculty from performing the main which is - teaching. Image: When we talk about the ‘image’ of a college it is the overall word of mouth generated by the students and their parents about the institute. Check out what is the overall reputation of the college. Have a word with the existing students and their parents, look for college reviews on the internet, search for some Facebook contacts of the same college and have a chat. Mention clearly that you want to know the insides of the college so that you can decide to opt for it or not. You can ask about the faculties, fees, placements and other information from the existing students of the college that will give you a clearer picture. Facilities: Although academic quality is of utmost importance other facilities are also crucial while selecting a college. For example, library is a very important place of a college. While vising a college have a look at their library. Check how many books are there, are those books written by well-known authors or are they just to make the library look huge. Make sure that they have sufficient number of syllabus recommended books also. Some good college also subscribe to international engineering journals to be in touch with the happenings at the international level. Also find out the number of books you can get issued at a time, how much time can you keep the book with you etc. One often ignored feature of a college library is newspapers. Newspaper not only gives the in-depth analysis of current affairs but they also contain job supplements which can give you an idea of what the industry is asking for from an engineering graduate. The knowledge of current affairs will also give you an edge while going for interview and GD sessions. A good library must subscribe to at least 7-10 newspapers of national level. Placements: Placement now a day has become a very important component while selecting a college. Check the number of placements made by the college in last 3-4 years. The type of companies visiting the campus and the package offered by them is also very important. Some colleges invite very small companies from Bangalore or Hyderabad that offer a very small package just to make it count as a ‘campus’ but such placements are just for the record nothing else. It is also very strange that some colleges ask their engineering students to sit for a marketing or call centre job interview so that the photographs can be used as a marketing tool in their annual magazine. Find out which companies visited the college for campus interviews, how many students were selected and for what type of job, what was the average package offered by the company etc. There are many colleges that ask for a ‘placement fee’ but invite very small ‘companies’ just to justify the fees. Location: Location does not mean only the city or state where the institute is located but also its local address. The location of the college should be such that it can be reached easily. There should be easy accessibility to the college by common modes of transport. If the college has a bus facility it is an added advantage but even then the distance should not be too much that it makes you tired before reaching the college. For girls, it becomes even more important that the college should not be located at an isolated place and conveyance facilities are available. Fees: Engineering is a costly affair when it comes to learning. Parents sacrifice the saving of their lives to get their child admitted to a good college therefore it is very unfortunate that many colleges ask for different ‘types’ of fee other than the tuition fee. Bus, Hostel, Uniform, Placement, Student Fund, Caution money, library, training and other such fee are forced on a student. Some of the them, like the hostel or bus fee is justified since these facilities cannot be offered from free but it should be reasonable and within the reach of the parents pockets. Some colleges go to the extent of first luring the students by charging them a small amount initially but then increase the fee unexpectedly when the student reaches second or third semester. Have a chat with the existing students of the college to find out if such malpractices are carried out by the college or not. Other factors: Apart from the above features there are certain other factors also that you can look into before choosing a college. a. Seminars and presentation: Syllabuses now a days are so lengthy that finishing them within the given time frame is very difficult and therefore some colleges keep their focus on teaching only as much as given in the syllabus. Engineering and technology are such fields where one must keep tab on what’s happening in the world right now. Technical seminars, paper presentations and workshops are aimed at providing the students the information about the current trends. Listening to a subject expert not only raises your level of knowledge but also clears any doubts you may have. Ask the college staff if they conduct such activities or not. The frequency of such events can also be enquired. b. Industry visits: Teaching now a day is not confined to the walls of a classroom. Visit to an industry or a company allows the student to actually see how the things are carried out practically in real life. Such a visit will also let you experience what the corporate culture is. If the visit is accompanied by a session with the company staff it will definitely add a value. c. Hostel: If you are an outstation student accommodation can be a menace. Find out if the college has hostel facility which in most cases will be there. If possible, visit the hostel yourself and check if the rooms are spacious, airy and away from noise and pollution. Most of the colleges allot a room for two students; therefore it should be large enough to contain two beds and at least one study table. Distance between the hostel and the college is also a point which should be looked into. For girls hostel, security issues should also be looked into. Thanks for the sensible critique. Me & my neighbor were just preparing to do some research on this. We got a book from our local library but I think I learned better from this postBreeches.